Put Your ‘HOOK’ Into It! 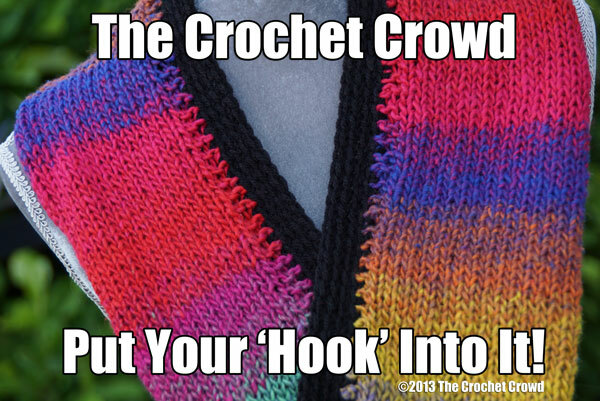 Come On Everybody… Let’s Get Hooking! I crocheted the border just to fulfill my need to hook! 🙂 Yeppers… I’m that ‘Hooked’! This entry was posted in Announcements and tagged Crochet, Inspiration, Mikey, Picture, The Crochet Crowd. Bookmark the permalink. 5 Responses to Put Your ‘HOOK’ Into It! Love the border – really sets it off! When my daughter was little I used to crochet lace on the top of her little white socks to give my little tomboy a girlly look about her. When my daughters were in grade school, I use to crochet the tops of their white socks, to match the outfits they wore to school. Also, hair ribbons & hair clips, & shoe laces.